Thanks to our Dental Implant Treatment Concept, you should expect to receive nothing but the highest quality dental care every time you step inside our dental office. Here at 772 Implant, quality dental care means so much more than successful and compassionate dental services. In fact, our quality dental care also includes using only the latest radiographic technology such as Cone Beam CT scans to take 3-D images of your jaw bone. This technology enables us to perform computer-guided dental implant placement that results in a more accurate, efficient, and safer dental implant surgery than ever before. Most dental offices require you to travel from one doctor’s office for your implant surgery to another’s to make your replacement teeth in order to complete your dental implant treatment. This creates confusion, misunderstandings, treatment delays, and even unnecessary expenses. However, here at 772 Implant, we simplify the entire process to ensure the patient’s best needs are met. Here at 772 Implant, we help you achieve a beautiful complete smile with dental implants using only one doctor, one fee, and one location. 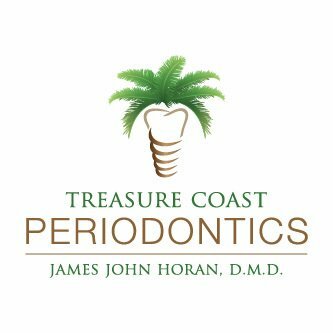 ALL of your dental implant treatment is performed by our experienced Board Certified Specialist right in our welcoming dental office. Furthermore, we have eliminated all unnecessary overhead fees and pass the savings straight to you. So what are you waiting for? It’s time to officially choose 772 Implant to replace your missing teeth with dental implants. Contact our experienced and caring dental team for more information or to schedule a complimentary consultation today. We can’t wait to get you smiling again!